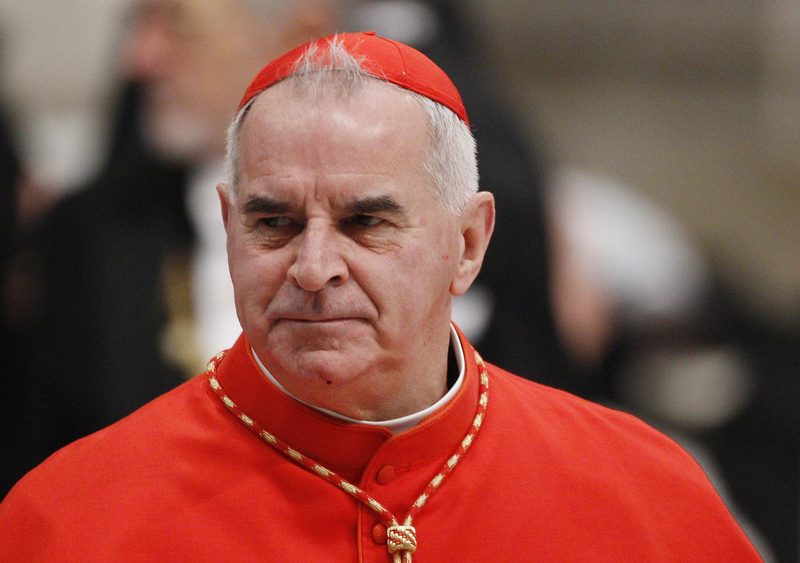 VATICAN CITY (CNS) — Scottish Cardinal Keith O’Brien, 74, announced he would not participate in the conclave to elect Pope Benedict XVI’s successor because he did not want media attention focused on him instead of the election of a new pope. Pope Benedict XVI had accepted the cardinal’s resignation as archbishop of St. Andrews and Edinburgh Feb. 18, Jesuit Father Federico Lombardi, Vatican spokesman told reporters Feb. 25. 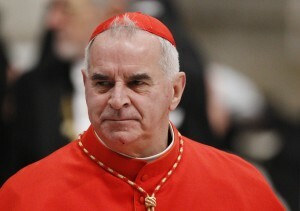 Cardinal O’Brien, 74, has denied the allegations and, according to his spokesman, is seeking legal advice. Father Lombardi said Feb. 25 that Cardinal O’Brien, who was required by church law to offer his resignation before his 75th birthday in March, had presented his letter to the pope in November. In accepting the resignation, the pope did not give any order about whether the cardinal could participate in the upcoming conclave to elect his successor, Father Lombardi said. Including Cardinal O’Brien, there are 117 cardinals who will be under age 80 Feb. 28 and eligible to vote in the conclave. Indonesian Cardinal Julius Darmaatmadja, the 78-year-old retired archbishop of Jakarta, already has said he will not attend because of health. The allegations against Cardinal O’Brien came a day after the Scottish cardinal gave an interview to the British Broadcast Corp. in which he expressed his openness to a change in the discipline of mandatory celibacy for Latin-rite Catholic priests. “Basic dogmatic beliefs” that have a “divine origin,” like the sanctity of human life from conception to natural death, cannot be changed by any pope, he said in the interview Feb. 22 with BBC Scotland. Other church practices, “for example, the celibacy of the clergy,” could change, said the cardinal. “There was a time when priests got married, and of course we know at the present time in some branches of the church,” including many Eastern Catholic churches and in the ordinariates for former Anglicans, “priests can get married, so that is obviously not of divine of origin and it could get discussed again,” he said. “I realize that many priests have found it very difficult to cope with celibacy as they lived out their priesthood and felt the need of a companion, of a woman, to whom they could get married and raise a family of their own,” he said. Cardinal O’Brien also has been an outspoken opponent of attempts in the United Kingdom to legally redefine marriage. In 2012, he said civil partnerships introduced by the government in 2004 already conferred many of the rights of marriage on homosexual couples. The government, he had said, was allowing “a small minority of activists” to redefine marriage for the whole of society.